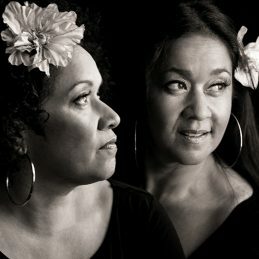 Their invitation to join Joe Camilleri’s Black Sorrows ushered in that band’s most successful era: Hold Onto Me, Harley and Rose and Better Times were all triple-platinum albums between ’88 and ’92, and the sisters’ prominent vocals captivated massive audiences, here and worldwide. On stage and in the studio, the sisters continue to seek challenges as diverse Tell The Angels, a gospel album recorded live in a Brunswick pub; Meet Me In the Middle of the Air, an innovative mix of jazz and gospel created by Paul Kelly and Paul Grabowsky; The Merri Soul Sessions presented by Paul Kelly and Paul Kelly’s Seven Sonnets & A Song. Additionally Vika has taken the lead in, At Last The Etta James Story in which this incredible show saw its world premier in Melbourne in 2013 and since then has toured all the capital cities in Australia, completed two sold out seasons at The Sydney Opera House and in November of 2014 rocked an enthralled Kiwi crowd at the prestigious Aotea Centre in Auckland New Zealand. Watch this space, open your ears, and hold onto your heart.